Our purpose is to help SUU students achieve their educational, career and personal goals. We understand that students’ first priority is to successfully earn a degree and we are here to assist them in addressing the stress and conflicts that may distract them from achieving their full potential. CAPS is staffed with experienced licensed mental health professionals including psychologists, social workers, and mental health counselors who work with students to reduce the interference of everyday stress and also treat more serious conditions. All of our regular services are confidential* and free* to SUU students. We strive to create a safe and welcoming environment for students of all ages, cultures, ethnicities, genders, gender identities, mental and physical abilities, national origins, races, religions, sexual orientations, sizes and socioeconomic statuses. Students who have questions about the services we provide or who would like to initiate counseling services are welcome to come by our office or to call at (435) 865-8621. *There are some limits to confidentiality and some uncommon fees which your counselor will review during the first appointment. 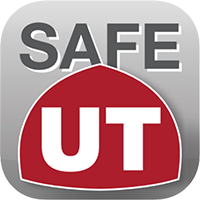 If you are experiencing an emergency, please call 911, contact SUU Police at 586-7793 or 586-1911, or go directly to the nearest emergency room. Please note that we are closed on all University holidays. Get a head-start on healing, growing, and changing by trying one of the following. Just contact the front desk for more information or to get started. Biofeedback can help you understand of YOUR body's response to stress, and teaches skills to better manage stress. Learn more about your psychological health and/or relationship concerns, along with tips & tricks to create healthier functioning. Learn about the mind-body connections through readings and online activities via various websites. See our Self-Help section for some ideas, Google it, or try the following website as a starting point: Looking After Yourself.